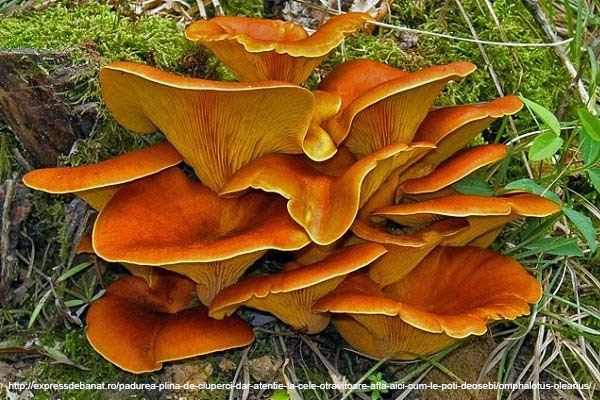 Omphalotus olearius is a fungus which is sometimes known as the Jack O'Lantern mushroom. It is often mistaken for members of the genus Cantharellus. Unlike Cantharellus the Jack O'Lantern mushroom is toxic to humans. While it will not kill you it will make you vomit and give you diarrhea and severe stomach cramps. If you turn the light off and look at them, you might think twice about eating them. That's right, they glow in the dark. 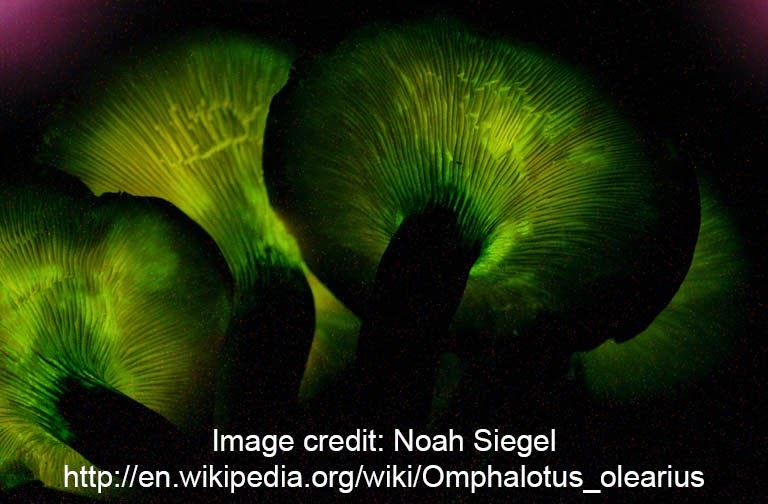 When things glow in dark and are poisonous that's usually enough to discourage me from eating them. However these mushrooms apparently smell and taste so good that even people who have been poisoned by them in the past find them appealing. Omphalotus olearius is endemic to Europe.